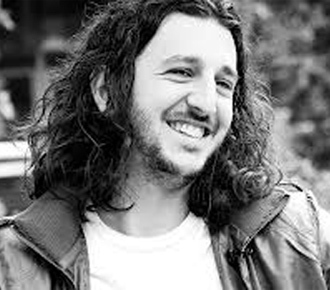 Currently in career overdrive with co-writes and co-production credit on nine tracks on One Direction’s latest hit album Midnight Memories, Julian Bunetta’s earliest memories are of growing up in L.A., hanging out at popular facilities like Conway Studios and The Village Recorder as his drummer/producer father Peter Bunetta worked with everyone from Johnny Mathis to Donna Summer and Smokey Robinson. The writer and co-producer of One Direction’s recent hit singles “Best Song Ever” and “Story of My Life,” Bunetta – a versatile jazz and rock drummer himself—unofficially launched his career behind the boards when his dad’s songwriter friends paid him to produce & contemporize the rough demos they gave Bunetta on cassette. “My parents have a video of me banging on the drums at age three, playing along to pop records and keeping a pretty good groove,” he says, “so it was pretty clear from the get-go that I was going to do something in music.” Scoring a publishing deal with Warner/Chappell after his first year at Berklee College of Music, Bunetta hooked up with numerous other songwriters and, immediately showcasing his versatility, secured cuts with top country artists (Little Big Town, Big & Rich), the late rapper Dolla (who was signed to Akon’s label) and mainstream pop star Hilary Duff. More recently, he penned songs for Jason Derulo (“Breathing” from Future History), Augustana’s self-titled 2011 album (“Counting Stars,” “Shot in the Dark”) and Natasha Bedingfield. Bunetta’s long relationship with Simon Cowell’s label Syco, home of One Direction since their 2010 run on The X Factor, includes songwriting efforts for The X Factor winners turned stars Leona Lewis and Alexandra Burke, and being a music producer on The X Factor itself. These accolades led to the opportunity to contribute to two tracks on One Direction’s second album, Take Me Home (2011), which debuted at #1 on the Billboard album chart. Bunetta co-wrote “C’mon, C’mon” with Jamie Scott and John Ryan, and co-produced the single “They Don’t Know About Us” with Tobey Ottoh and John Ryan. When the call went out for new songs for One Direction’s follow-up album, Bunetta flew to London and began writing again with Scott and Ryan. There wasn’t a specific plan by the label to include Bunetta on so many of the tracks that made the album. A&R man Tyler Brown, Cowell and the rest of the staff simply loved what Bunetta was writing with Scott, Ryan and their other collaborators. In addition to the hit singles, Bunetta’s final tally of nine tracks on Midnight Memories includes co-writing and co-producing “Diana,” the title track, “You and I,” “Strong,” “Little Black Dress,” “Little White Lies” and “Better Than Words.” He co-produced most of these in collaboration with Ryan, the first songwriter signed to the publishing arm of Family Affair Productions, the company launched by Bunetta, his brother Damon Bunetta and his father Peter. Pictured (l-r): Monti Olson (Executive VP/Head of Pop & Rock, Universal Music Publishing), Julian Bunetta, Donna Caseine (Sr. VP of Creative Affairs, Universal Music Publishing) & Damon Bunetta (manager). Midnight Memories became the fastest-selling album in Amazon UK’s 15-year history, breaking the record One Direction set with Take Me Home. The collection hit #1 in many countries throughout the world, including Australia, Belgium, Canada, Denmark, Hungary, Ireland, Norway, Spin, Sweden and Taiwan. The story Bunetta tells about how the lead single “Best Song Ever” (which reached #2 on the Billboard Hot 100) was written speaks to a mix of lighthearted fun and serious songcraft involved in the process. “John Ryan and I were hanging out with a couple of people at The Rose Bar in London and had a crazy night and a lot of fun,” he says. “Later, John and I went to a hookah bar and were sitting outside when he started singing this melody and lyric, ‘And we danced all night to the best song ever.’ It just popped out when we were smoking hookah and we wrote the chorus quickly. We couldn’t figure out one line so we wrote a placeholder line. We had no pen and paper, so we just walked back to our hotel singing it. In a later session with our songwriter friend Ed Drewett, we shared our chorus and he loved it and came up with the verse melody. Then I chimed in with a pre-chorus melody and we worked on different lyrics for that and some of the verses. Basically, we were all just screwing around and laughing about it, saying let’s tweak this and that and push it over the hill.